My Popbasic Sunday Collection came yesterday and I couldn't wait to see this collection in person. 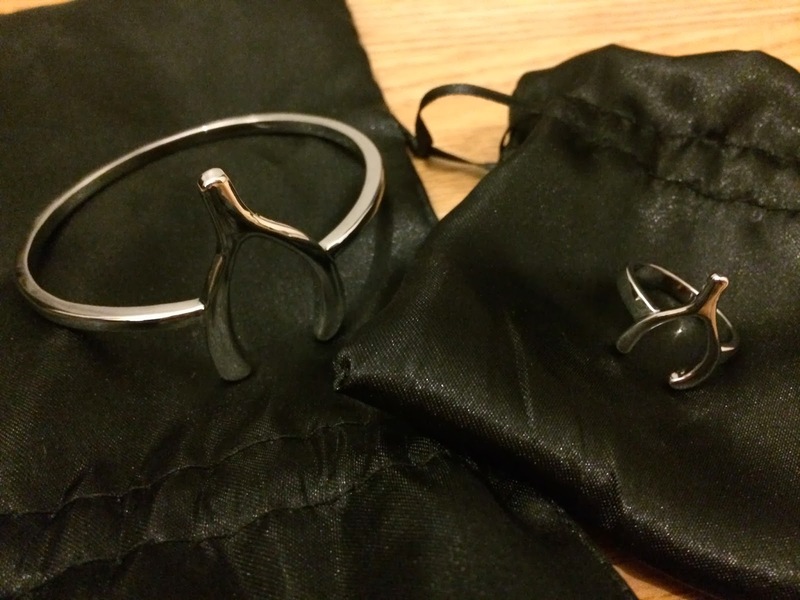 This month's collection included a Blueberry Silk Blouse, Wishbone Bangle, and Wishbone Ring. I was most excited for the jewelry in this collection, which is different for me, because I do love clothes! This collection is one of my favorites. 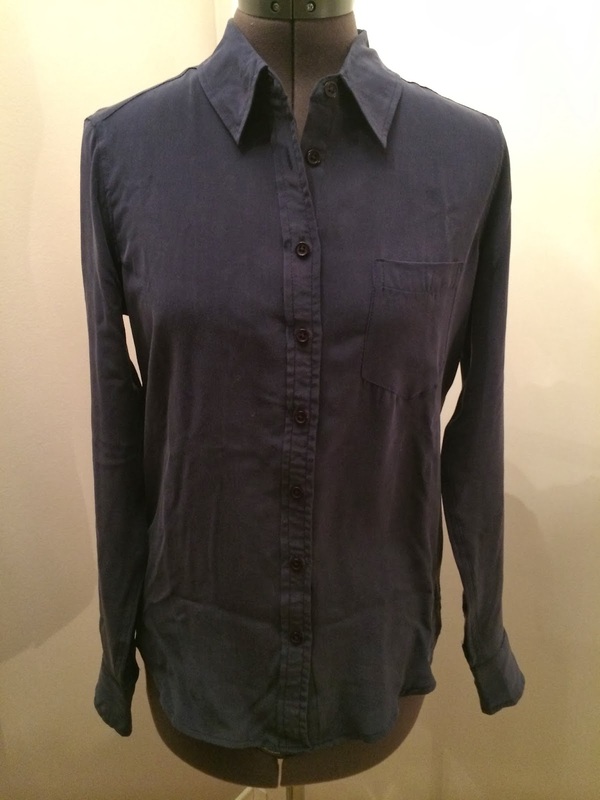 The Blueberry Silk Blouse will be perfect for work and fit great! I would say it is slim in the waist and if you're worried about it fitting, order a size up. I am normally a small and ordered a size small, but it is very slim in the waist. I tend to like my blouses a bit on the looser side though. It's also a great navy color that I've been pairing with everything. I especially like it with my white/turquoise tulip skirt and can't wait to wear it!!! The jewelry pieces were gorgeous and just as I imagined! I love the bangle, even though I don't usually wear them. 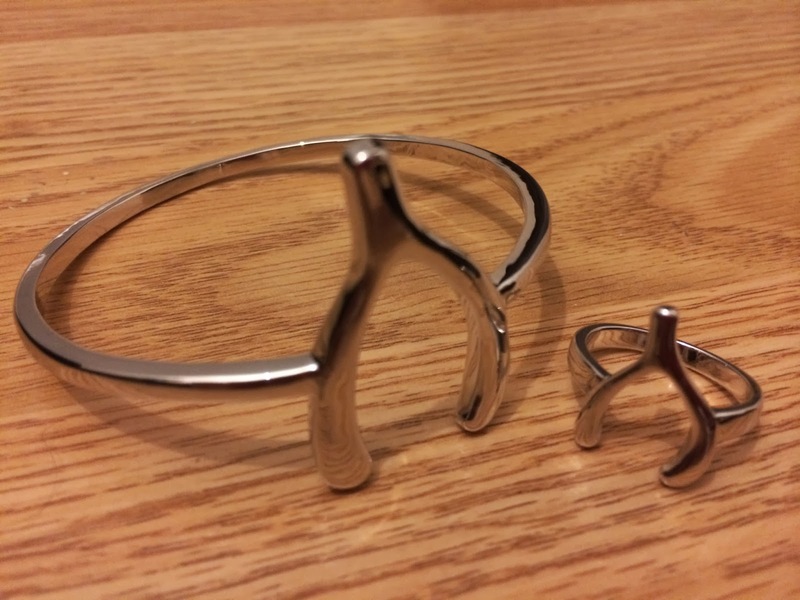 This is a fun piece and I love the wishbone detail. I was very worried the ring would not fit me because I had no idea what size it was and I have small fingers. As I expected it is too large for me, but I love it so much and I'm going to try to figure out how to size it smaller without it looking silly. Any ideas?!? I would say the ring is around a size 6 (for those of you thinking to order) and I wear a 4.5 on my ring finger. I do think this size would fit most people on at least one of their fingers. It was definitely my favorite item in this collection! Are you thinking of ordering? The Popbasic Sunday Collection is still available in all sizes, so order today before it sells out. Once they're gone, they're gone! I loved my box but found the ring large too. Let us know if you have any ideas on the resizing!